Levels Exceeded \ Progress refers to progress made since completing Primary School. 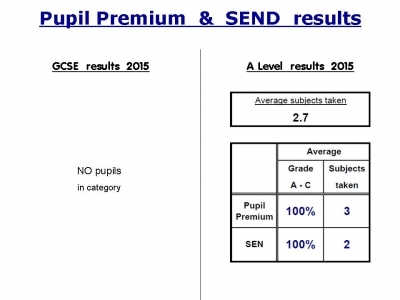 These figures show results for pupils completing GCSE's at the end of Year 10. They may vary from other data sources as the majority of pupils at our school complete their GCSE's at the end of Year 10 (one year earlier than the national average). As most pupils continue on with A Levels while still technically in KS4 (during Year 11), their AS Level results can affect the GCSE figures since the equivalent UMS points achievable are higher than GCSE. These figures tell you about performance of pupils at this school at (school Years 10 and 11), which are the last two years of the secondary phase of education. These figures were published in January 2017 and relate to pupils who completed key stage 4 in the summer of 2016. For further information see DfE School Performance data. This is an internal Mesivta tracking system. It is based on the new 9 - 1 GCSE marking scheme. The number estimates the grade your child would get if he were to take the GCSE today. This number will increase over time as the course progresses.